Teen drivers recently met at our Nation’s Capital to focus on the importance of safe driving habits during the summer months, especially when sharing our roadways with large trucks. Teens were involved in an interactive event to discuss the risks and consequences of a serious car accident in Fort Myers and elsewhere this summer. Each teen pledged to avoid the blind spots of large trucks and signed a “No Texting Promise” during this truck safety demonstration. This demonstrations was conducted by the U.S. Department of Transportation’s Federal Motor Carrier Safety Administration (FMCSA), the National Organizations for Youth Safety (NOYS) and the Commercial Vehicle Safety Alliance (CVSA). Officials from each organization spoke with these teens about the dangers of large trucks. 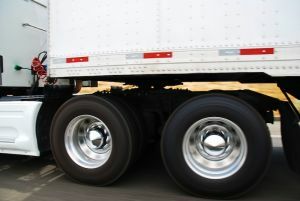 For example, a fully loaded tractor-trailer requires approximately twice the stopping distance as a passenger vehicle. They also discussed their “No Zones,” or blind spots. 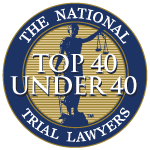 Our Cape Coral personal injury attorneys understand that most of our young drivers do not have enough driving experience or driving knowledge to fully understand how these larger vehicles operate. They also lack the knowledge of how to properly and effectively accommodate their travel on our roadways. For these reasons, it is important to speak with our newly licensed drivers to make sure they understand the risks and consequences of accidents that involve such large vehicles. With proper knowledge, skill and experience, a serious — or fatal — accident may be prevented. According to the U.S. Department of Transportation’s Fatality Analysis Reporting System, the deadliest days for teen drivers, ages 15- to 19-years-old, on our roadways are during the months of May through August. Twice as many teens die each day on our roadways during these 4 months as compared to the rest of the year. During this time, nearly 16 teen deaths occur on our roadways compared to an average of roughly 9 teen deaths a day during the year as a whole. Individuals aged 16- to 24-years-old make up the age group that has the highest traffic accident death rate in the United States. Between the years of 2005 and 2009, approximately 4,000 people from this age group were killed in traffic accidents that reportedly involved a large truck. According to the National Highway Traffic Safety Administration, there were approximately 380,000 large trucks that were involved in traffic accidents in the United States in 2008. More than 4,000 of these trucks were involved in fatal accidents that resulted in nearly 4,500 deaths. Another 90,000 people were injured in these crashes. During 2008, there were nearly 300 large trucks that were involved in fatal traffic accidents in Florida alone. If you or someone you love has been seriously injured or killed in an accident, there are certain things you can do to help protect your rights. The wrongful death, injury and accident attorneys at Associates and Bruce L. Scheiner, Attorneys for the Injured, have been representing victims of car accidents, truck accident, motorcycle accidents and bicycle and pedestrian accidents since 1971. The firm offers free appointments to discuss your rights at any of its offices located throughout Southwest Florida, including Fort Myers, Cape Coral, Naples, Arcadia, Port Charlotte, Sebring and Venice.